World of Warcraft is a testament to good game design. An MMO that has players addicted, and one that has managed to stand tall over all competitors throughout its decade long existence. Blizzard has so carefully designed every element of the game to make it act like digital cocaine. So what’s the next big feature I hear you asking? Well, selfies of course. 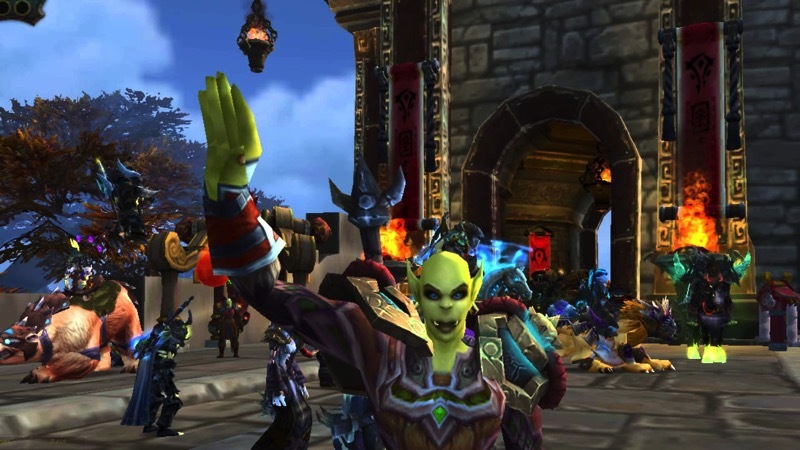 The new 6.1 patch is bringing a new toy to the fantasy medieval world of Warcraft, with the S.E.L.F.I.E Camera allowing you to capture the best pout your Lich Wargen, Blood Elf or Human Priest can muster. It’s something you’ll have to fight for too. Level 100 characters can take a quest called Field Photography, which will reward you with the technology advanced piece of hardware. But it doesn’t stop there. Everyone knows a good selfie is incomplete without a proper filter. How else are you supposed to look so tanned? A separate mission, named Lens Some Hands, will unlock a host of filters on the camera, including the timeless black and white and even a morbidly named filter called death. The shots are saved to a folder on your PC, allowing you to infect social media everywhere with your egotistical self portraits. The Lich King would be proud. As you’d expect, the old game reacts quite weirdly with the new camera position, so expect to see some funny clipping issues and grotesquely twisted limbs during your high level adventures from now on. If only you could craft a stick of some kind to help.